Blockchain. If you’re not clued-up on cyberspace you’d be forgiven for thinking it’s an old game you played on your mum’s Nokia. Bitcoin. I imagine you’ve heard of this. You probably have at least one friend that’s tried to convince you, on multiple occasions, that it’s the greatest investment you could ever hope to make. Bitcoin uses blockchain technology. However, blockchain can be used for much more than making tech-savvy people rich. Trying to explain the intricacies of blockchain could, admittedly, be an article in and of itself. Put simply, blockchain is an electronic, decentralised ledger. A list of transactions. These transactions could represent anything, such as a cryptocurrency. Ledgers can be written onto with new information, but the previous information, stored in blocks, cannot be edited, adjusted or changed. This is achieved by using cryptography to connect the contents of each newly added block, with each previous block. Thus, any change to the contents of a previous block would invalidate the data in the entire blockchain. Its main purpose is to eliminate the middleman. However, this technology is starting to tackle human rights issues across the globe. How is this possible? Blockchain is currently having a positive effect on peoples’ lives in three specific arenas. The first is refugee aid. In order to have a bank account, you must have some form of legal identification. Refugees, for obvious reasons, often lack this proof. Plus, it’s often the case that the longer a refugee goes without an ID, the harder getting one becomes. According to the World Bank’s 2017 report, approximately 1.1 billion people live without proof of identification. But, if refugees could be given cryptocurrencies, they could build up records to use as a form of identification. Currently, efforts are being made by the United Nations’ World Food Program (WFP) to achieve exactly this. In May 2017, the organisation provided over 10,000 Syrian refugees in Jordan with cryptocurrency-based vouchers to shop in local supermarkets. This enabled these refugees to feed themselves, thereby providing a sense of security to insecure life. The second arena blockchain can be used is data protection. In May 2017, a sophisticated cyber-attack left hospitals and GP surgeries unable to access their patients’ records. 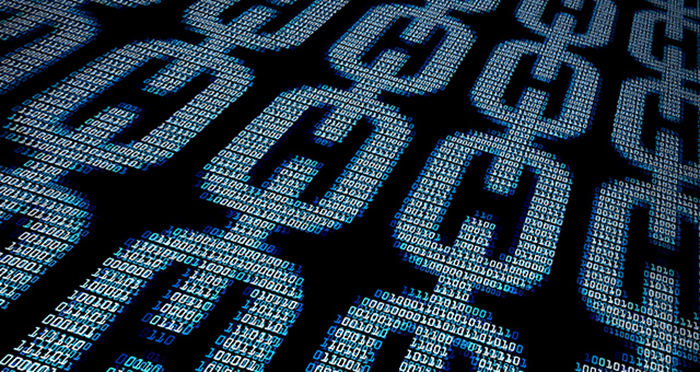 Blockchain, with its decentralised record-keeping, could have lessened this attack. Austin-based company Factom has developed a system which can be used to keep globally distributed medical records in a decentralised place. This secures medical records, which can be accessed anywhere and by any authorised person with biometric verification. This doesn’t just protect against cyber-attacks, but also provides immediate access to patient data that could prove life-saving in an emergency situation. Lastly, voting. The concern of voter fraud is present in many countries, in particular those in Sub-Saharan Africa and Latin America. Blockchain technology can provide a solution here, too. By moving to a digital voting system, blockchain cloud technology can immediately eliminate the logistical problems of paper-voting. People would be able to vote from their smart-phones, or from their computers. This system cannot, in principle, be influenced or corrupted by any party or person, and there wouldn’t be a need for an election recount. There are several start-ups, mainly based in the United States, which are already experimenting with this new system. Such companies include VoteWatcher, and Follow My Vote (the US mid-term elections on 6 November gave these companies a great opportunity to test their systems, before the presidential elections in 2020). This could be an invaluable way of ensuring voting rights in the 21st century are respected and that every citizen’s voice is heard. However, this technology is currently not supported by most governments. In the UK, the main beneficiaries of young, tech-savvy voters would be the Labour Party, and the Democratic Party in the US (both, of course, currently not the dominant party in their respective countries). Research demonstrates that these parties appeal to younger generations, more so than their rivals — the Conservative Party in Britain, and the Republican Party in the US. Since blockchain could make voting more accessible, this development could dramatically increase the size of the youth-electorate. Consequently, given the interests of the current British and American governments, they have little interest in pushing this potentially revolutionary technology. Solving human rights issues with blockchain is not a dream of the future, but rather the reality of today. Even if the Bitcoin bubble bursts, there’s still a bright future ahead for the technology, as evidenced by the growing number of examples in which it is being used, such as smart contracts. Fanny Ferencz studied law at Queen Mary, University of London. She is currently completing a masters in intellectual property at George Washington University Law School in the US. Are Questions In Headlines Ever Able To Be Answered In The Affirmative? This is fantastic news! We can finally use blockchains to identify fake asylum seekers! What da fck is dis shet? It’s a nope from me too. Thanks for this Ms Ferencz, highlighting the positives for law in the blockchain space. Have seen impressive strides taken by a couple well-backed companies in the ID management on the blockchain space. Also evidence in human rights cases submitted directly onto the blockchain so as to establish a tamper-proof chain of evidence.